The first winter storm of the season moved through Allegany State Park today. We had all kinds of weather from snow, down poring rain, sunny skies, thunderstorm, small hail and even high winds for most of the day making any bird wishing they were not migrating south. 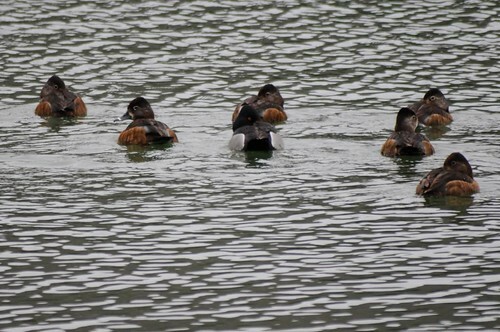 Today we had 13 Ring-necked Ducks on Red House Lake who appeared to be ducking out from this storm. This entry was posted on 9 December 2009 by mon@rch. It was filed under Allegany State Park, Birds, Flickr, migration, Nature, photography, Weather . No snow amigo? Nice to see some of the photos you’ve been taking, though. The duck (on the left) in the second photo appears wooden, the picture being so crisp and in focus. We had the same weather here in Warren, PA, that you had up at the state park. My husband and I were talking about taking a drive through the park this coming Saturday; looks like another winter storm is heading that way though. We haven’t had the now much yet. Suppose to come in tonight. The wind was clocked past 60 mph last night, it was horrible! Those are wonderful photos of the ducks. I haven’t seen many birds lately at all, except for our woodpeckers at the feeders. Lovely photos. Hope you don’t get too much snow. We got snow over the weekend but it’s already melted. 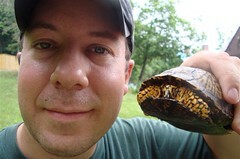 Hi there-thought I’d stop by to see what you’ve been up to. 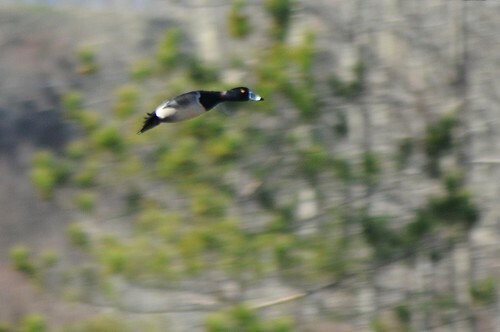 Love that flying Ring-necked Duck photo! 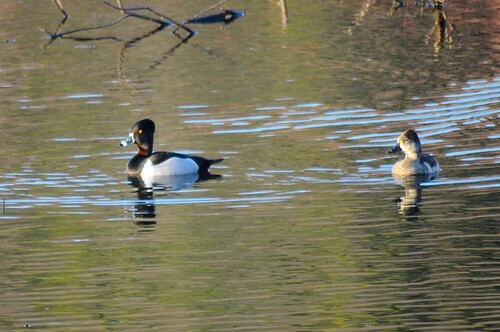 We had ring-necks starting to show up around here about 2 weeks ago.they are handsome ducks.